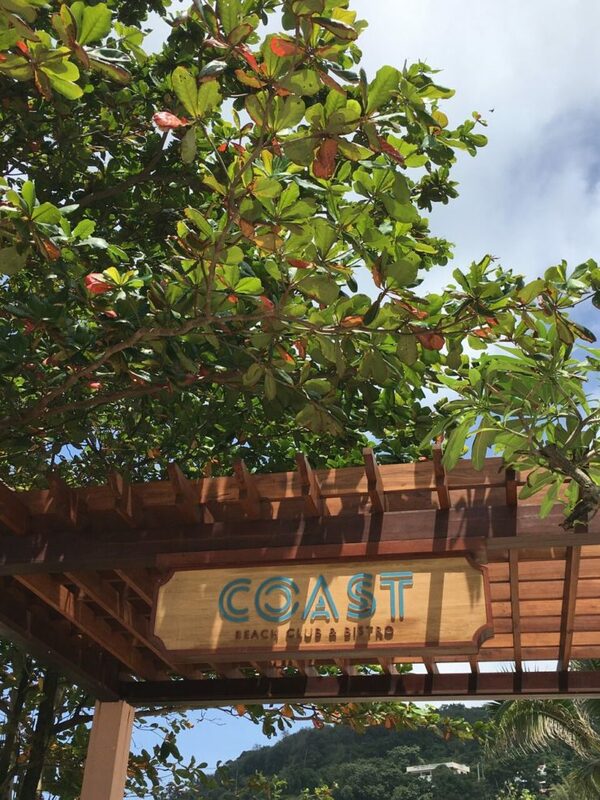 With a prime location on one of the island’s white sandy beaches, COAST Beach Club & Bistro Phuket sets a high standard when it comes to quality “beach club” cuisine in Phuket. 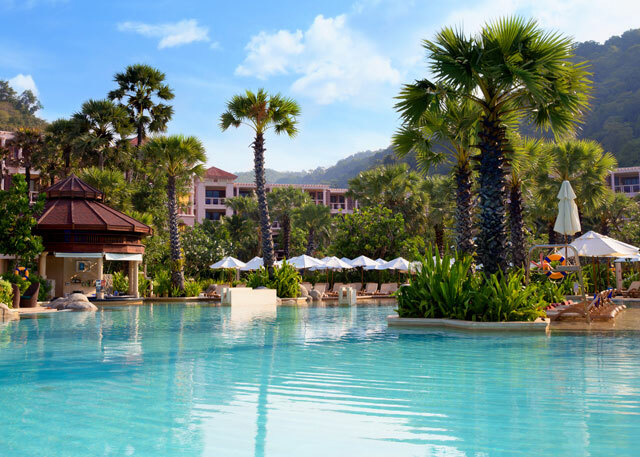 Part of the Centara Grand Beach Resort Phuket, the beach club & bistro features an open plan, al fresco design that plays host to ample space and showcases amazing views of Karon Beach. The day we are invited to dine is a bright and sunny Sunday afternoon. The staff is cheerful and lead us to a comfortable table in the middle of the restaurant. 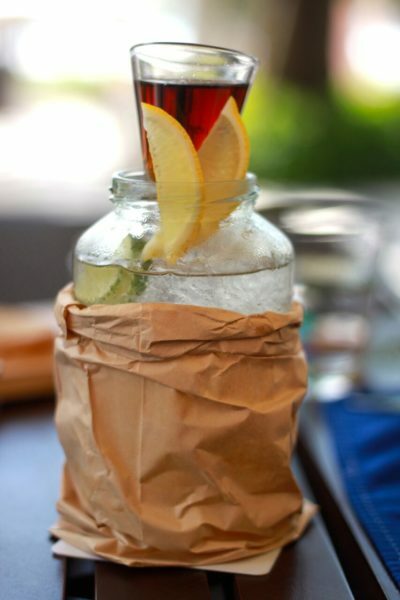 Drink menus are handed over, however, we ask for both alcoholic and non-alcoholic recommendations. In no time, a delightfully presented fresh squeezed carrot juice with celery is positioned in front of me while my dining partner receives a fruity pink cocktail oozing with lime and vodka. 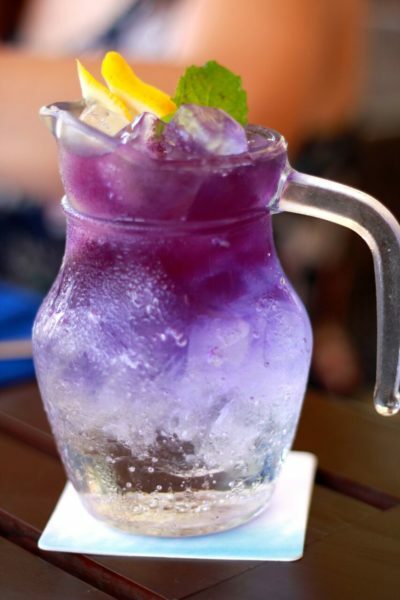 The drinks are refreshing and we enjoy them while chatting to the Sales Manager, Khun Pear, who has invited us to dine at the beach club & bistro. 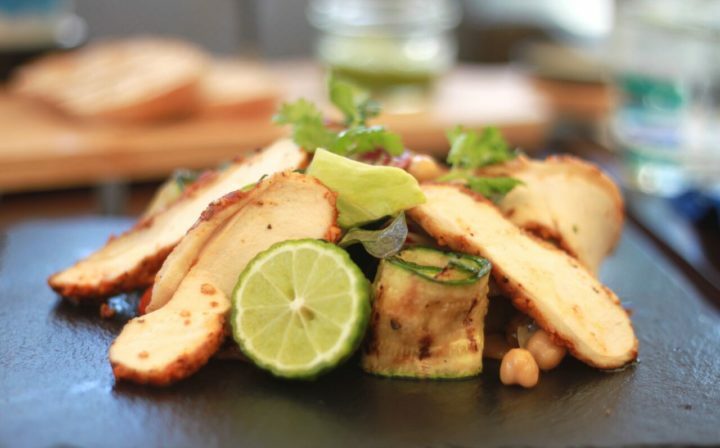 The Executive Chef has chosen the menu sampling for today and he quickly brings us a colourful Dukkah Chicken Salad featuring tender roast chicken, chick peas, zucchini, fennel seed and crisp green leaves. The salad is perfectly spiced and features tangy citrusy flavours that pair well with the marinade of the chicken. It is light and healthy and a perfect start to the meal. The Dukkah Chicken Salad is accompanied by fresh baked bread with pesto spread, a COAST signature. Next up is fresh, grilled snapper served with a salty, tangy salsa, colourful pumpkin puree and crisp, sautéed vegetables. The fish skin is crunchy and light while the snapper itself is soft and tender. 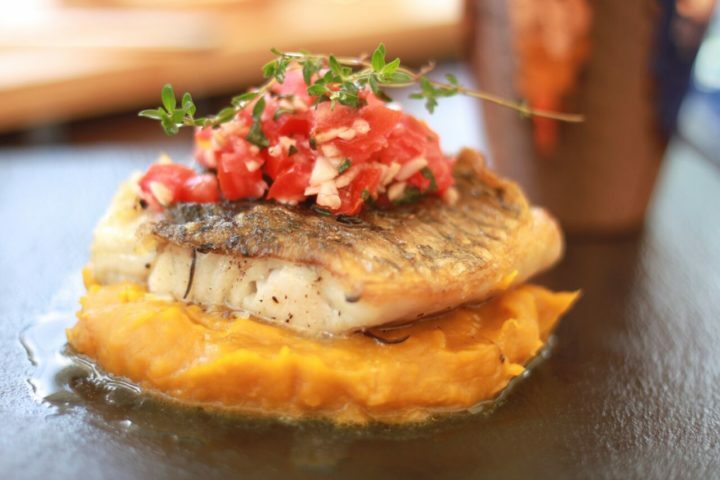 It is obvious that the fish is very fresh and it pairs well with the sweet pumpkin puree. The vegetables are sautéed in olive oil, salt and pepper which keep the flavours simple yet delicious. We are next asked to sample a mammoth-sized beef tenderloin. 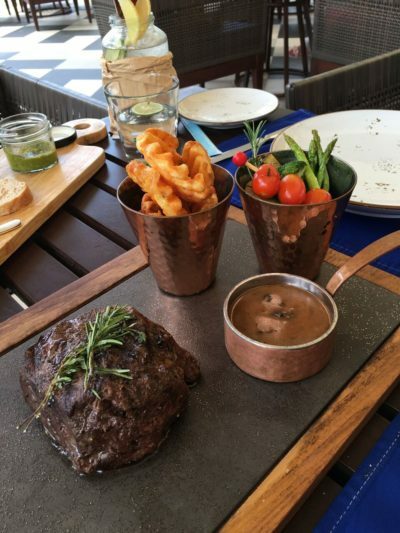 The beef is tender, medium rare and full of flavour even without the accompanying tasty mushroom gravy. This dish is completed with a vegetable medley and crispy, well-seasoned waffle fries. The food is truly great. I have no complaints and especially fawn over the copper serving dishes all of the sides have come in. The serving dishes are without a doubt contemporary and chic. As the table is being cleared, we are presented more drinks. Lovely purple hues make up my Butterfly Island, while my dining partner is presented a deconstructed Long Island Iced Tea. It is worth mentioning that the cocktails here are generous in size, strong in alcohol and pleasantly presented. The last thing to tick off on our list are the desserts, and let me tell you, the dessert offerings at COAST are totally next level. The Executive Chef brings out three desserts for us to try, and I nearly fall off of my chair in amazement. 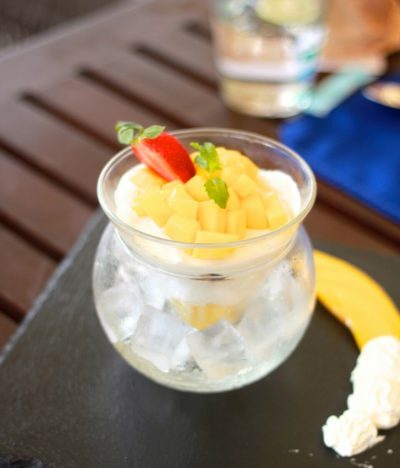 A Thai twist on an Italian favourite, the Mango Tiramisu features ripe, tart mango and sweet strawberries. The tiramisu is light and creamy, and the fresh fruit flavours cut the richness of the dessert. The Mango Tiramisu is so yummy and such a clever take on an iconic dessert dish. Following the tiramisu is not one, but two, amazing takes on the decadent dessert of Crème brûlée. The wait staff smile as they put down Kaffir Lime Crème brûlée and Lemongrass Crème brûlée. So very curious, my dining partner and I crack the sugary top coating and dig in. The desserts encompass two very distinct flavours, but these flavours completely work. The desserts are surprising to be honest, but they are so very good. 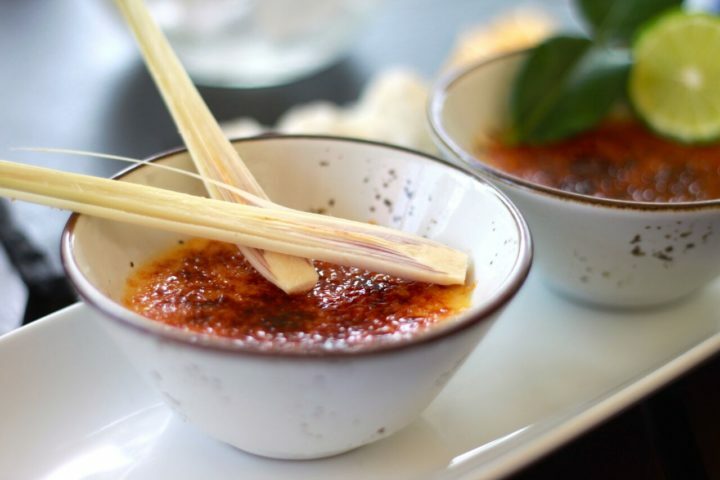 The Lemongrass Crème brûlée features a subtle hint of lemongrass, and to be quite frank, this dessert tastes like a five star spa smells. 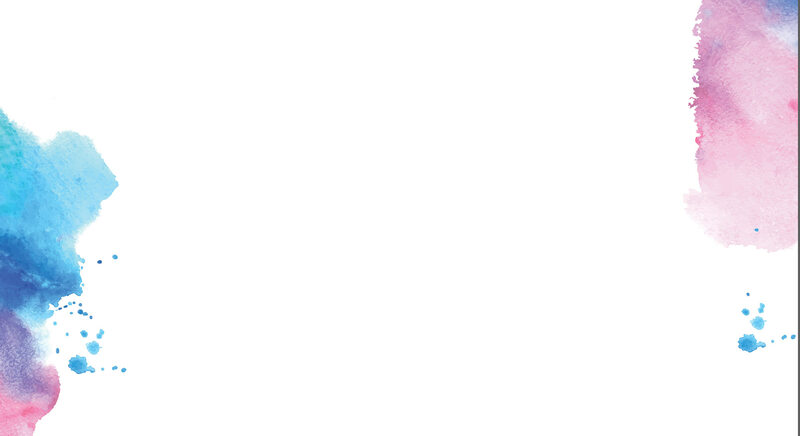 There truly is no other way to describe it. 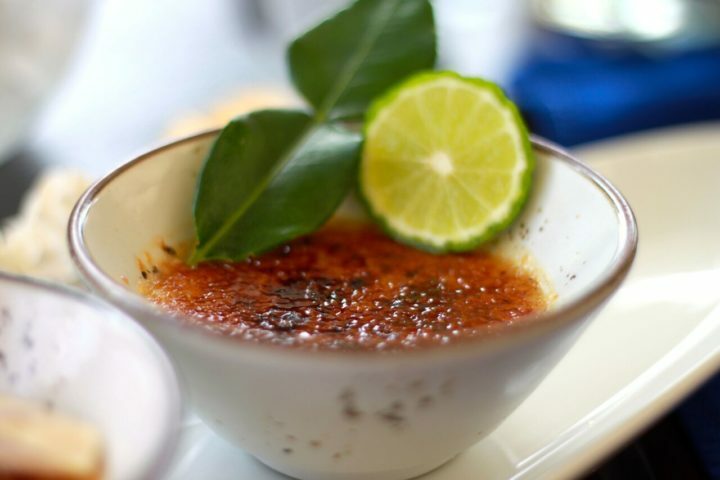 The Kaffir Lime Crème brûlée has more of a runny consistency, but the flavour is zesty which accompanies the richness of the Crème brûlée perfectly. 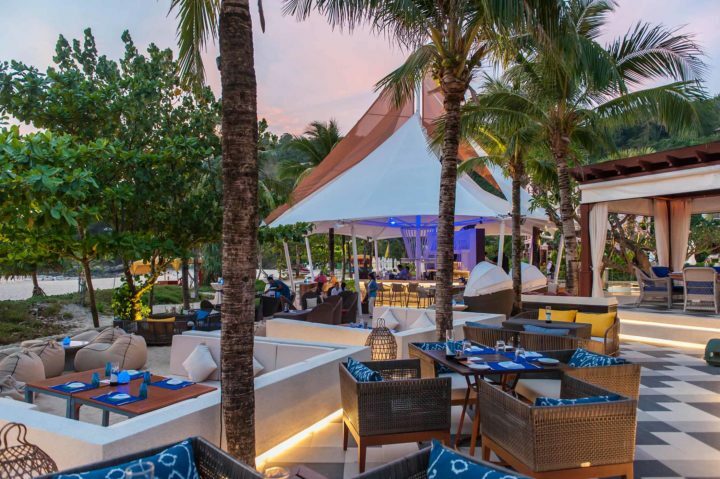 COAST Beach Club & Bistro Phuket is an experience everyone on the island should have at least once. 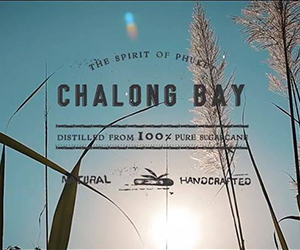 The venue commands prime beachside property on Karon Beach, the food is fantastic, the vibe is very chill and the staff are fantastic. I have nothing negative to say about this place. I highly recommend COAST, and personally, cannot wait to gather a group of friends and go back!